Long course triathlon coaching (specializing in Ironman/70.3 World Championships Qualification), race prep, swim lessons, bike training with power, nutrition, run/marathon training, mentoring new USAT coaches, Long Course/Big bike camps and clinics. Qualified 6 athletes for Kona in the last 3 seasons, 9 total times. Numerous 70.3 World Championships Qualifications. Coached 2 2nd OA in Ironman races, a 1st OA, 2nd and 3 3rd OAs (amateur) in 70.3 races in the last 3 seasons. Tri Coach (USAT Level II Endurance) since '10, full-time since '13. Head Coach at Fiv3 Racing since '16. 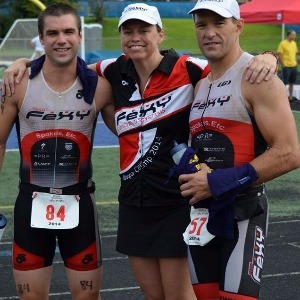 Specializing in low client to coach ratio, prepping athletes for big improvements in Long Course Triathlon. Coached all levels from beginner to Ironman AG winners/WC qualifiers. Camp Director for several long course training camps, including Blue Ridge Bike Camp. I accept athletes that are trying to take their racing to the next level. Success. Coach Michelle Lake has been notified of your message.